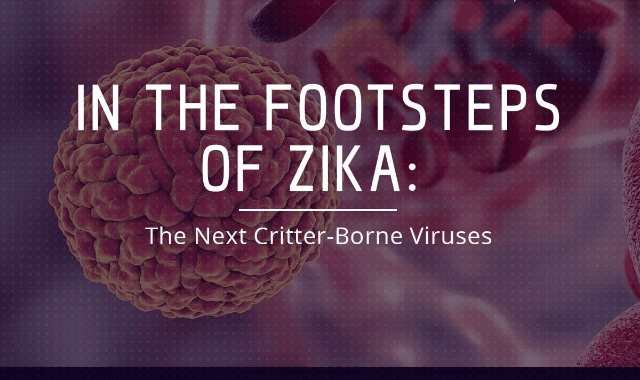 In The Footsteps Of Zika: The Next Critter-Borne Viruses #Infographic ~ Visualistan '+g+"
There are currently over 50 countries with confirmed cases of the Zika virus. While health authorities are focused on containing the spread of this latest mosquito-borne disease, epidemiologists are on the lookout for new viruses that may be carried and spread by insects. Find out what could be the next Zika in the making.